King British Tropical Fish Mini Pellets are a complete food for all surface, mid-water and bottom feeding tropical fish. The high protein, low waste formula means less is excreted into the water as waste therefore helping to maintain water quality. Available in a tub or Easy Feeder clicker. 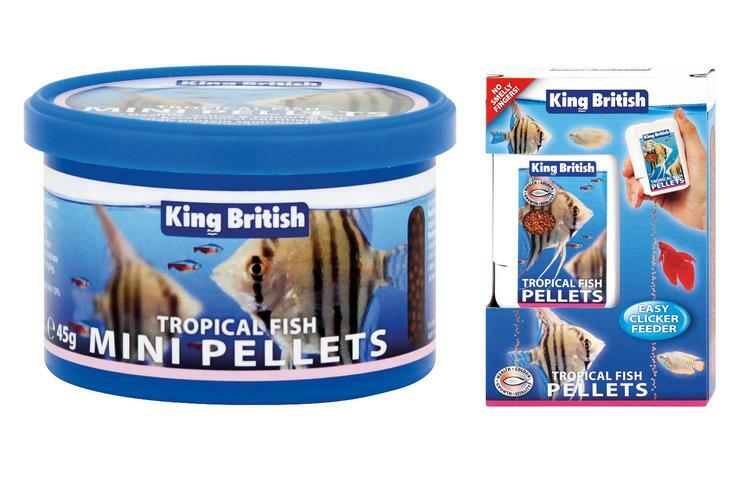 There are currently no questions for King British Tropical Fish Mini Pellets - be the first to ask one!